New vaccine requirements: California bill would abolish personal belief exemptions. Under a new proposal, California would eliminate widely-used exemptions to vaccine requirements. At a press conference Thursday, Democratic California state Sen. Richard Pan said he will propose a bill tightening vaccination requirements for public and private school students throughout the state, a move backed at least in part by both of California’s U.S. senators. Both chambers of California’s legislature are controlled by Democrats, and Democratic Gov. Jerry Brown’s office indicated such a bill will be “closely considered” if it reaches his desk. 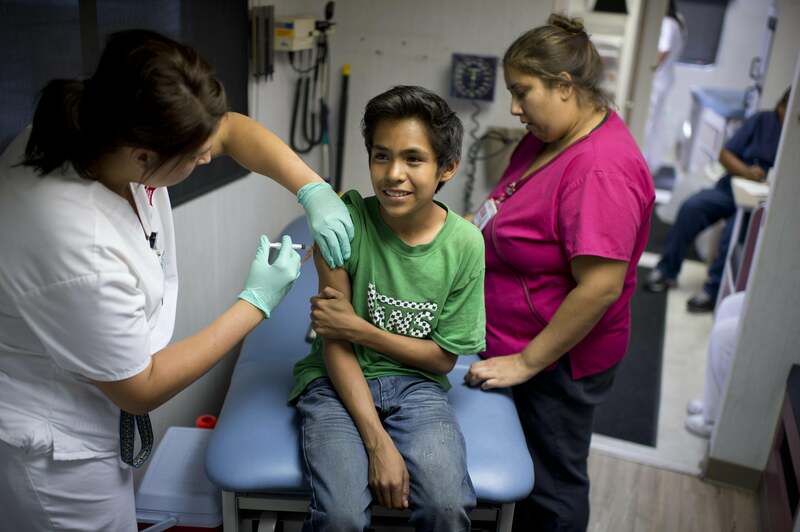 The Los Angeles Times reports that the proposed legislation would leave only medical exemptions from vaccination requirements intact, dramatically altering a system that currently allows more than 13,000 children to attend class without proof of vaccination every year. The bill’s rollout came as health officials announced that 99 cases of measles had been diagnosed in the state since an outbreak tied to Disneyland started in December. Pan’s suggested vaccination standards would eliminate personal- and religious-belief exemptions and require every school to publicly disclose the vaccination rates of its student body. The conservative Pacific Justice Institute has already objected, calling the proposal “a pretty sweeping approach to what really is a very limited problem that could be addressed in other ways,” prompted by “hysteria” over the latest outbreak. Notable: Santa Monica is a pocket of anti-vaccine sentiment (others are documented in this Washington Post map) notorious enough that the Wall Street Journal called Sen. Rand Paul an ally of the “Santa Monica left” for his recent remarks about vaccines and mental disorders. Santa Monica state Sen. Ben Allen, though, is expected to be Pan’s co-sponsor on the vaccination bill.